Thank you to everyone who joined us for our first workshop of 2015! Swouk & Zwestie was a blast! Check out some photos from the workshop below, and be sure to join us for our second workshop, May 9th with Daniela Pucci and Luis Bianchi! You can check it out here! West Coast Swing and Zouk are a match made in dance heaven. The two dance forms are being combined by the top dancers in each community, and there are WCS/Zouk crossover events popping up all over the world! With whole weekend events dedicated to Swouk and Zwestie becoming more and more common — now is the perfect time to get in on all the awesome!! TIPDI's WCS/Zouk crossover intensive is a day-long "crash course" for Westies who want to learn Zouk, Zoukeros who want to learn West Coast, and dancers of other forms who want to experiment with West Coast or Zouk! 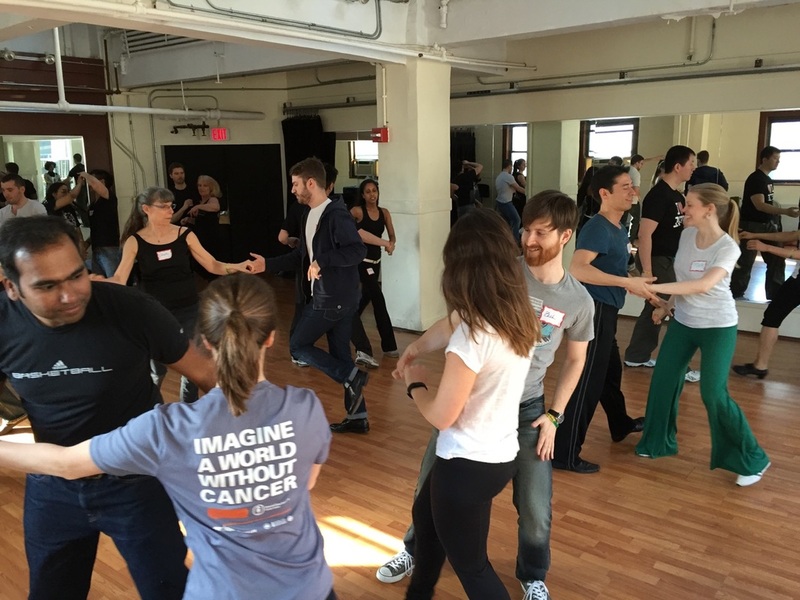 Most importantly, the last part of the day will be spent "putting it all together" at our super fun Swouk & Zwestie Crossover Lab, a dance jam/lab where you can try out your new moves with each other - with some help from your instructors! 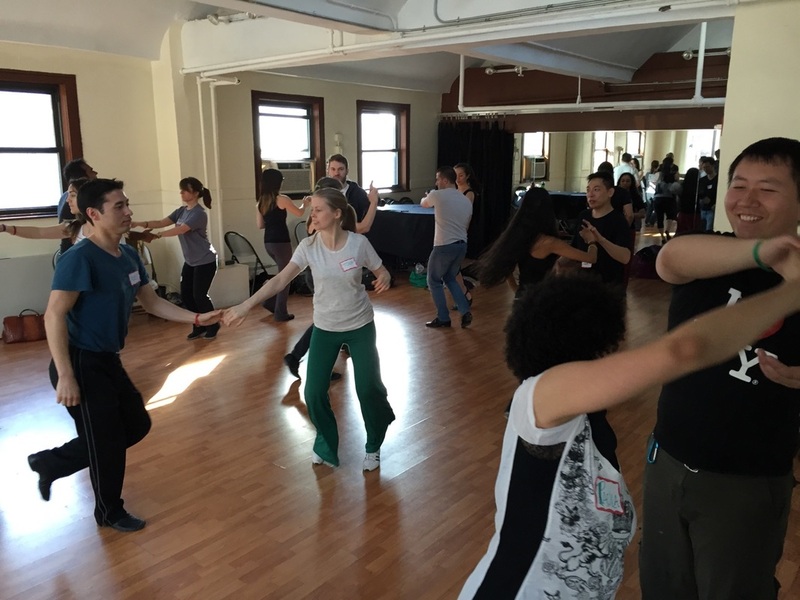 Participants should have some prior dance training, as the workshops will move quickly. Space is limited! Early registration is recommended!! Take the elevator to the 12th Fl, then interior stairs to the Penthouse. After this one workshop/warmup, you will be easily body rolling and waving in ways you didn't know were physically possible. As a full-time modern dancer in the Alvin Ailey Professional Division, Paula trained in body rolls for 1 full hour … every week … for a year … with Ailey's hardest teachers. She brings it all to us, distilled and cheerful and easy, in a single hour. Probably the best body rolls workshop in the world today. You do not want to miss this! "Let's Make Magic!" The Swouk & Zwestie Crossover Lab! Now we put it all together with some help from your instructors! If you're more familiar with WCS - bring something white to wear! If Zouk is your thing - bring something black to wear! With guidance from your instructors, we'll explore cool and interesting ways to combine the two forms, using everything you learned earlier in the day. We'll mix it up and make magic! Register for the full intensive or for individual classes! We make it easy to get your groove on! Fees are outlined below. Register early for the best price! 5 Hours of Technique and Practice! Please note: Intensive Fundamentals B cannot be taken as a stand-alone "drop-in". The content is cumulative, and requires Fundamentals A.
Shannon is one of New York's best-loved Zouk instructors. As a longtime teacher for Zouk New York, she has been at the forefront of New York's Zouk scene for multiple years. She is known for her precise, accessible teaching style, and makes learning Zouk, for both leaders and followers, a breeze. She has been teaching for Zouk New York at Piel Canela Latin Dance for three years. She began dancing Zouk in 2010 after seeing her teacher, Kim Rottier, perform at a blues dance social. From that moment she was hooked. In 2011, she spent six months in Rio de Janeiro, one of the birth places of Zouk, training at Renata Peçanha’s famous dance school and immersing herself in the Carioca dance scene. 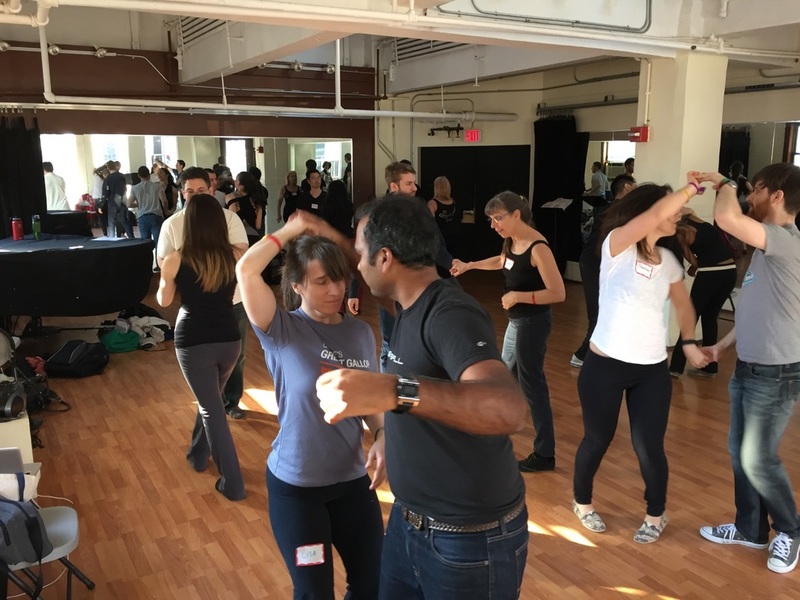 Over the years, Shannon has attended Zouk congresses in Europe and South American and has studied with many renowned Zouk teachers including Pablo Schmoller, K-Yo Victor, Willem Engel, Pasty Edelmar, Gilson Damasco, and Kamacho. Shannon is also trained in ballroom dance, Argentine tango, Blues, and West Coast Swing, and has dabbled in other partner dance styles including Lindy Hop and Salsa. When she isn't dancing, she works as a copywriter at an ad agency and travels with her husband. Paula and Ken are loved for their fun, engaging dance classes. They are internationally ranked West Coast Swing dancers, and have taught beginning dancers of all backgrounds, professionally, for over 15 years. 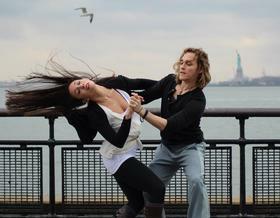 They run several WCS events around New York City, and are the co-producers of The International Partner Dance Intensive. Paula’s students enjoy her patient, clear teaching style, informed by her background as an Alvin Ailey Professional Division graduate. She worked as a concert and commercial dancer, before discovering partner dance. Paula came to West Coast Swing from years of teaching and dancing Argentine Tango, as well as Zouk. Ken was student-commented six years in a row as "the best Instructor I've ever had in ANYTHING!" by Harvard University students for his on-campus dance classes. Off-campus, he also taught the largest and most popular Swing, Ballroom, and Salsa classes in the Boston area for many years. He was a high-level Lindy Hop dancer before transitioning to West Coast Swing. For more information about their various events and classes, visit them at www.gottadance.org.